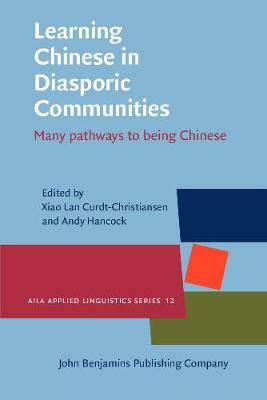 This book brings together new theoretical perspectives and bilingual education models from different sociopolitical and cultural contexts across the globe in order to address the importance of sociocultural, educational and linguistic environments that create, enhance or limit the ways in which diasporic children and young people acquire the `Chinese' language. The chapters present a variety of research-based studies on Chinese heritage language education and bilingual education drawing on detailed investigations of formal and informal educational input including language socialization in families, community heritage language schools and government sponsored educational institutions. Exploring the many pathways of learning `Chinese' and being `Chinese', this volume also examines the complex nature of language acquisition and development, involving language attitudes and ideologies as well as linguistic practices and identity formation. Learning Chinese in Diasporic Communities is intended for researchers, teacher-educators, students and practitioners in the fields of Chinese language education and bilingual education and more broadly those concerned with language policy studies and sociolinguistics.